Get ready to give a resounding S-E-V-E-N! 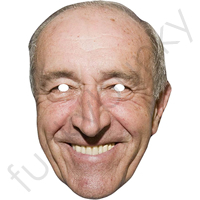 with this great Len Goodman mask from Strictly Come Dancing. This product gets a Ten from Len!!! SUPERB.... I give it a "severn"